(VEN) - The PetroVietnam Power Nhon Trach 2 Joint Stock Company (NT2) was established in June 2007 and officially put its plant into commercial operation more than five years ago. Over the past more than 10 years, NT2 has made nonstop efforts to become one of the most efficient member companies of the PetroVietnam Power Corporation (PV Power), as well as the electricity sector. NT2 Director, Dr. Hoang Xuan Quoc, said the company had made great progress and become one of the leading member companies of PV Power. Its successful production and business results have significantly contributed to strengthening the position of the company and PV Power. NT2 has successfully carried out maintenance and repair work to maintain stable operations of the Nhon Trach 2 Power Plant. The company always pays great attention to ensuring safety, protecting worker health and the environment, as well as improving the lives of its staff members and workers. It has a highly qualified technical staff and a team of professional and responsible managers. In 2017, the company has faced numerous difficulties due to unfavorable weather conditions, low consumer demand and low market prices. To overcome difficulties, since the beginning of this year, NT2 has operated turbines of the Nhon Trach 2 Power Plant according to the competitive power generation market mechanism. Along with promoting good manufacturing practice, the company has carried out periodical maintenance and repair activities to ensure safety for workers. Since September 1, 2017, NT2 has shut down its plant for the first turn-around maintenance after more than 50,000 equivalent operating hours (EOHs). In the first half of this year, to cope with unfavorable weather conditions, low consumer demand and low market prices, NT2 made careful analyses before offering its prices to maintain uninterrupted operations of its plant and maximize its profits. 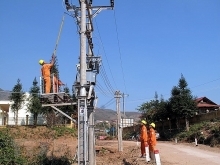 Thanks to these efforts, NT2’s electricity output in the first six months reached approximately 2.32 billion kWh; revenue more than VND3.58 trillion; and after-tax profit VND456.3 billion. Total value of the company’s assets has reached more than VND10.19 trillion. 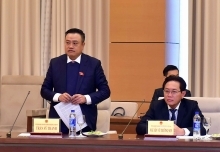 Dr. Hoang Xuan Quoc said NT2 has paid great attention to training workers and created a good working environment for them, while at the same time ensuring stable incomes for all employees. The company has built a 12-storey residential building consisting of 110 apartments for its workers in Long Tho Commune. It has also built a kindergarten for their children, and entertainment, sports and cultural facilities for workers to enjoy good spiritual lives after work. NT2 is striving to achieve and exceed annual production and business goals for 2017. 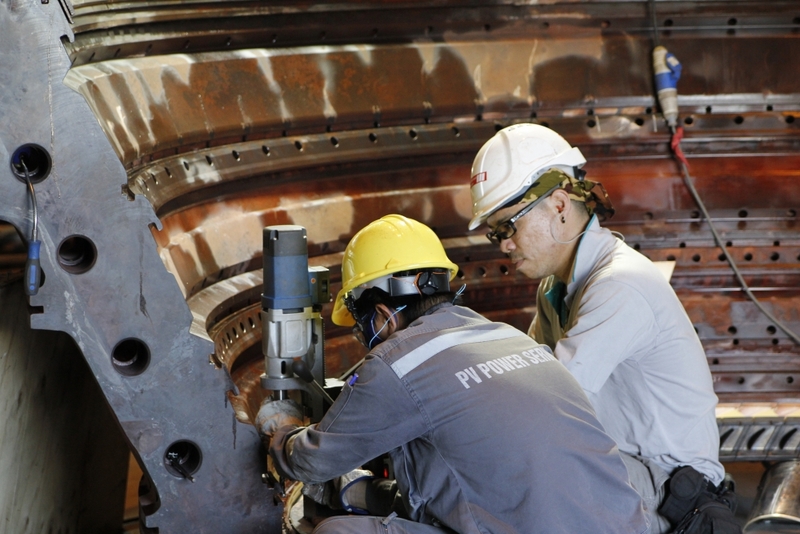 At the same time, the turn-around maintenance of the Nhon Trach 2 Power Plant is underway at reasonable costs. In 2017, the company concentrates on promoting its production and business activities in an economical and effective manner in accordance with the competitive power generation market mechanism. At the same time, NT2 maintains tight coordination with its partners, including A0/EVN/EPTC, PV Gas and other units concerned to ensure uninterrupted and effective operations. The company is also intensifying human resource training to meet the requirements of the competitive electricity wholesale market. 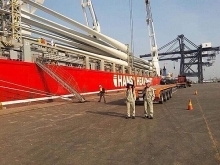 It has launched movements encouraging its technical staff members and workers to bring into play their creativity and propose technical improvement initiatives. The company has been active in waste prevention and social security activities. With support of an experienced staff, NT2 is maintaining stable operations while at the same time making further efforts to enhance its competitiveness in the electricity market. The company is tightening technical management and concentrates on promoting the turn-around maintenance of its power plant. NT2 will continue offering reasonable prices to maintain its presence in the competitive electricity market. The company continues tightening its relations with EVN/A0/EPTC, PV Gas and other units concerned to optimize power generation. It will pay greater attention to ensuring safety and workplace hygiene, as well as fire and explosion prevention, to achieve sustainable development. In the first six months of 2017, despite unfavorable weather conditions, low consumer demand and low market prices, NT2’s electricity output reached approximately 2.32 billion kWh, revenue reached more than VND3.58 trillion, after-tax profit VND456.3 billion, and tax payment VND183 billion.